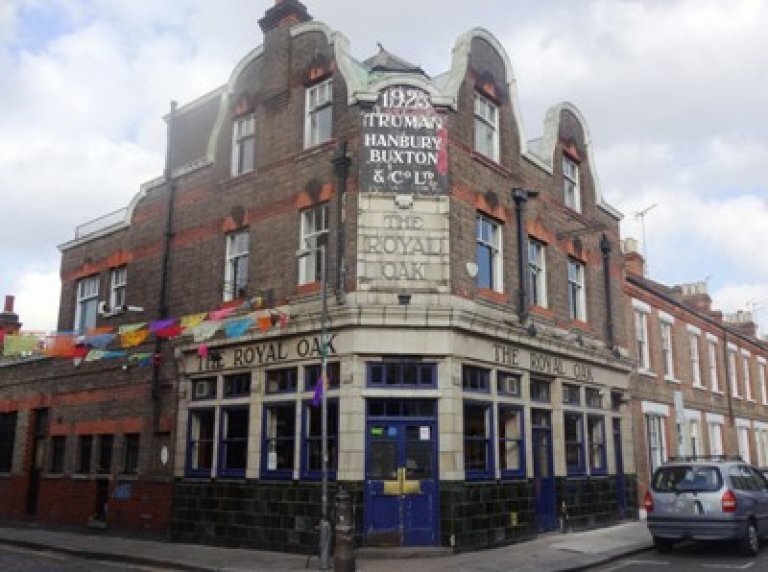 Although neither a listed building nor on the London Regional Inventory, this is a striking inter-war Trumans pub with Dutch gables and prominent name panel on the corner. 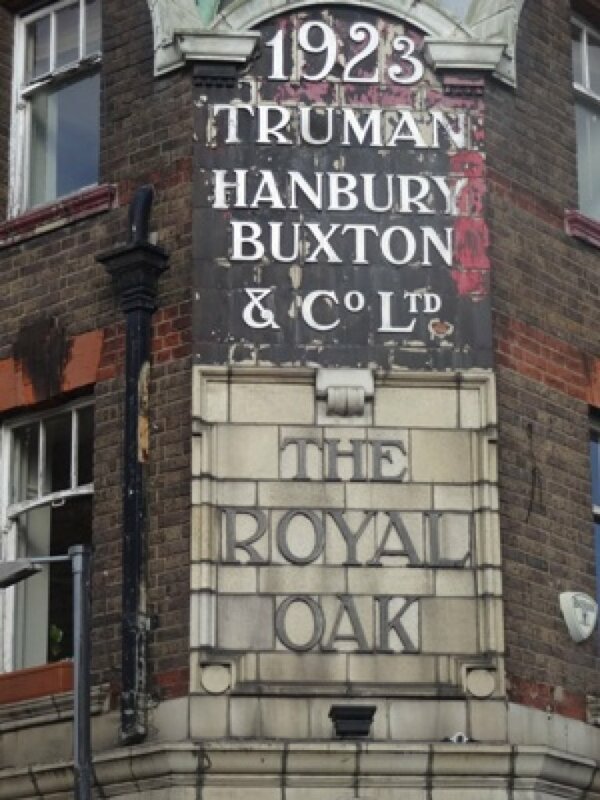 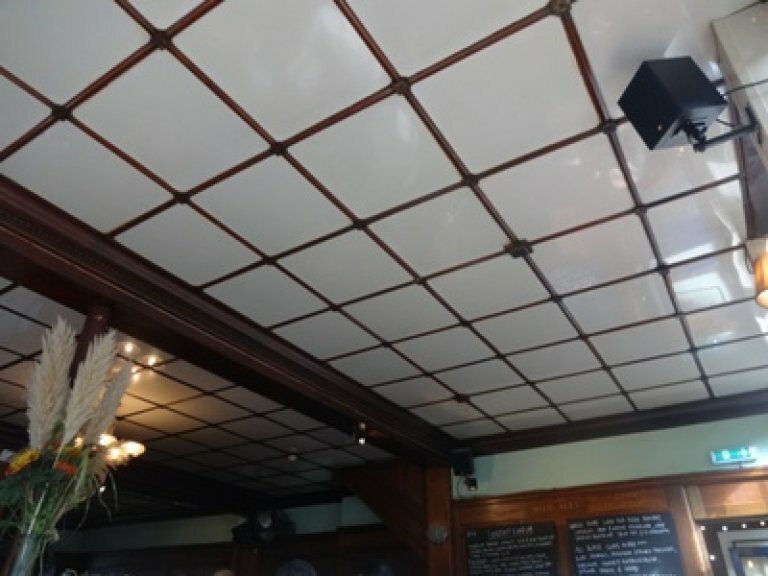 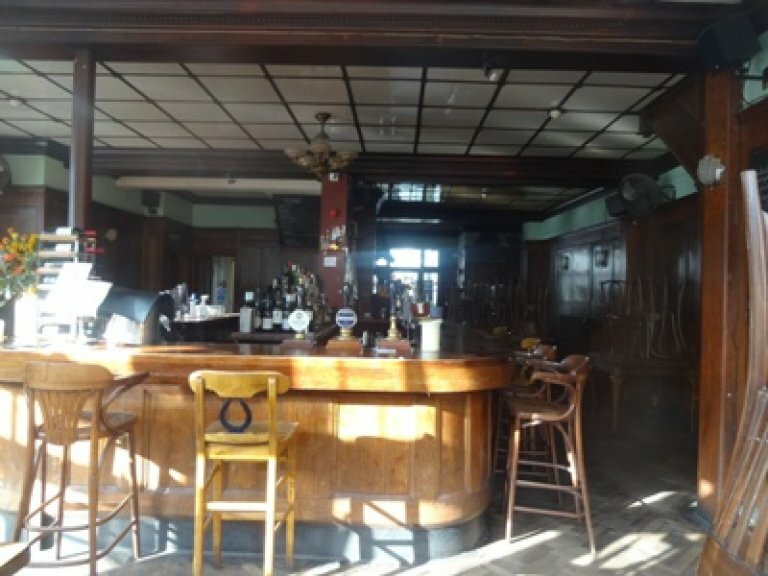 Despite having been opened up inside, it retains some fine wooden panelling typical of Trumans style, complete with the names of the beers formerly on offer. 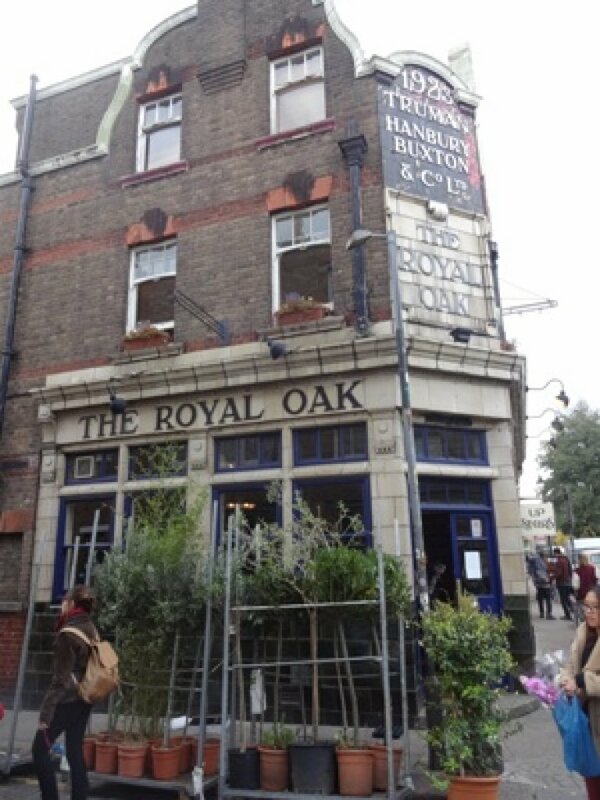 The Royal Oak featured on the Breweries and Markets Past and Present: Evening Crawl of Shoreditch, Bethnal Green and Spitalfields in December 2009, and features on the East End Survivors: Evening Crawl of Bethnal Green, Shoreditch and Spitalfields in December 2017.